Good news for smokers! You may be distributed with one-week nicotine replacement therapy (NRT) medication for FREE in our mobile truck after a quick assessment. The story is about the quitting smoking journey of a man who has been disturbed by emotional and mental problems. Call our hotline to make an appointment. 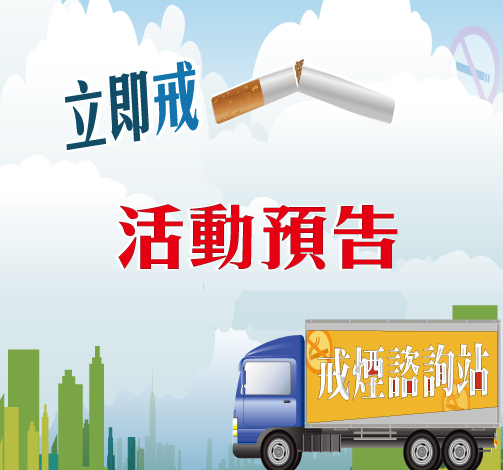 We offer smoking cessation service for FREE to Hong Kong citizens who obtain Hong Kong Identity Card. Be our partner to disseminate the smoke-free message in the workplace and motivate staff to quit smoking. It is designed for smokers who are under 18. 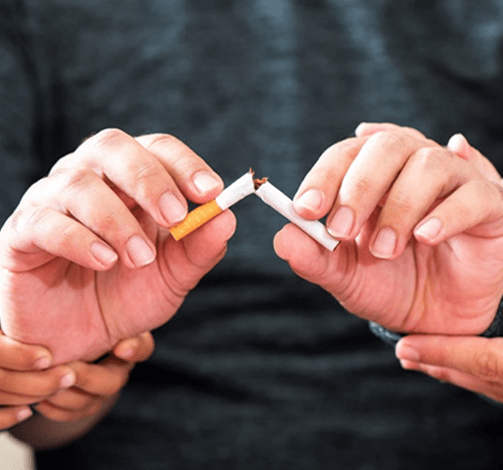 Early intervention will be provided to help them cease their smoking habit. Smokers will have higher chance of getting cardiac disease, stroke, cancer and some other fatal diseases. Useful resources like our newletters, Relapse Prevention Manual, and Smoking Cessation and Drinking are available for download now. We provide kinds of activities like marathon team, soccer team, hiking groups and etc to prevent you from relapse. Call us at 2332 8977 to start you quitting smoking journey.